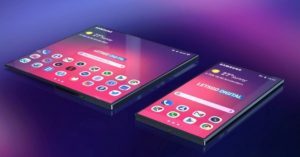 In November 2018, Samsung held its developer conference where it showcased its brand new One UI and gave the world the first glimpse at its upcoming foldable phone. But then, Samsung was so secretive about the device that it even dimmed the lights on the stage when they showed the smartphone. So, although we do know that Samsung Galaxy F, which is said to be the name for the foldable phone, works as a tablet that can be folded into a candy bar phone, we still don’t know much about the upcoming handset’s design. But that wouldn’t be the case anymore. 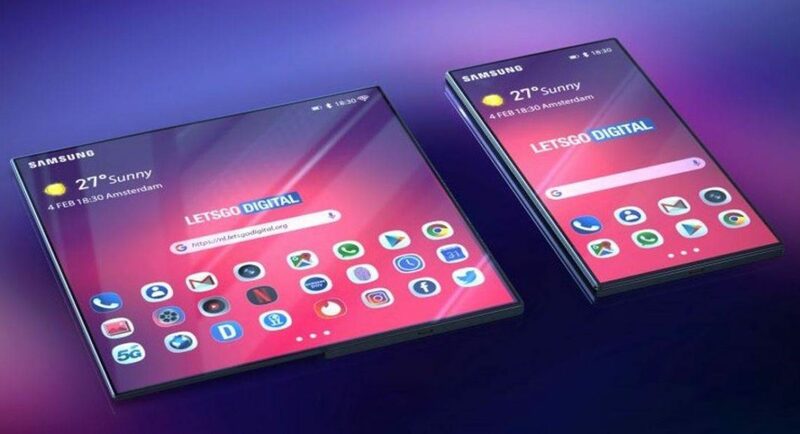 The 3D renders of the Samsung Galaxy F foldable phone have been shared by technology blog LetsGoDigital that show what the design of the foldable phone may be like when it is released. We should mention that the renders that have been shared may not be exactly like the smartphone that will be launched, they do give us an idea about what to expect from the upcoming device. 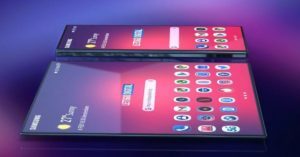 The Samsung Galaxy F renders are said to be based on the leaked official video ad of the smartphone that gave us a first proper look at the handset. Compared to previous renders of the Samsung Galaxy F that surfaced online, there are a few considerable changes that can be seen in the new renders. To begin with, the hinge that which fold flat is not segmented like the Microsoft Surface Book hinge in the new set of renders. Furthermore, Samsung Galaxy F can be seen to come with an extremely thin built and this may be because the South Korean technology giant talked about the new polarizer filter during its developer conference. For those unaware, the polarizer filter is 45% thinner. Besides this, the bezels of the smartphone also look thinner than what they were in previous renders. According to prior reports, Samsung Galaxy F will come with a 7.3-inch display and have a resolution of 1,536×2,152 pixels. On being folded, the display of the smartphone will become 4.58-inches in size. It has also been reported that the smartphone will come with two batteries and it is expected to sport a triple rear camera setup. The foldable phone by Samsung is expected to be launched on February 20 along with Galaxy S10 lineup.